How is a paedodontist different to a general dentist? 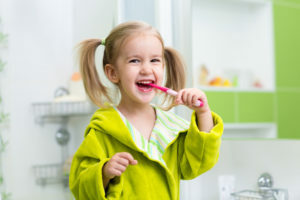 Sometimes children find dental treatment to be a little scary or overwhelming. Our expert paedodontists spend time with your child to ensure a positive dental experience in an enjoyable and caring environment. The paediatric dental team works with your child to build trust and rapport allowing them to feel at ease. Paedodontists provide dental care for children aging from birth to adolescents. They are specialists in their field having completed a minimum of 2 years accredited study in addition to a general dental qualification. 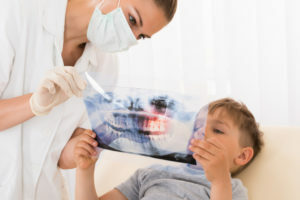 Whilst completing speciality training the paedodontist focuses on preventative and therapeutic oral health care for children, which includes the management of orofacial problems related to medical, behavioural, physical or developmental disabilities. 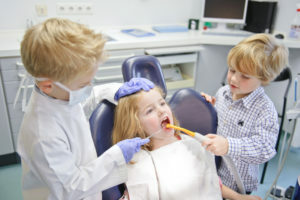 Paediatric dentists are highly skilled in providing contemporary and comprehensive dental management for children in a range of settings including nitrous oxide sedation within the dental surgery and under general anaesthesia in a hospital environment. Paediatric dental practices may differ from general practices in regards to their decor with paedodontists creating child-friendly environments to provide familiarity and to help children feel at ease. At Kew Paediatric Group the dental support team participate in ongoing training with the paedodontists and external training providers to ensure children receive optimum care delivered by knowledgeable and skilled professionals.